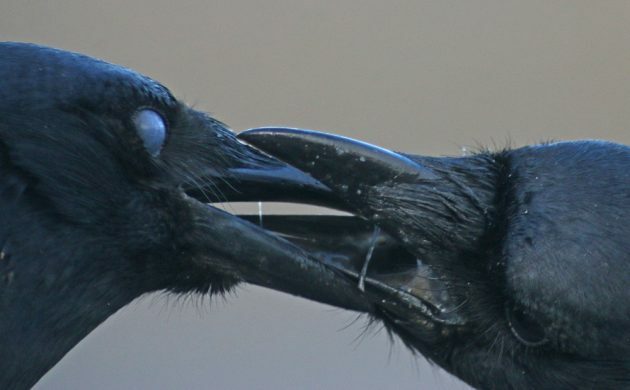 Over the last couple of weeks Fish Crows have flooded back into New York City, early harbingers of spring, and those that stuck around have become much more vocal, meaning that birders can now put them on their checklist instead of “crow sp.” And it is essentially only birders who realize that Fish Crows are back. 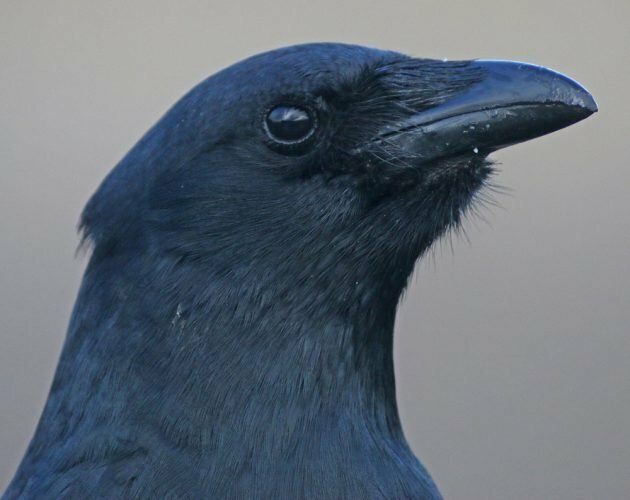 Their nasal calls aren’t of interest to anyone else and, really, birders tend to give them short shrift as well once they have been marked off the year list. 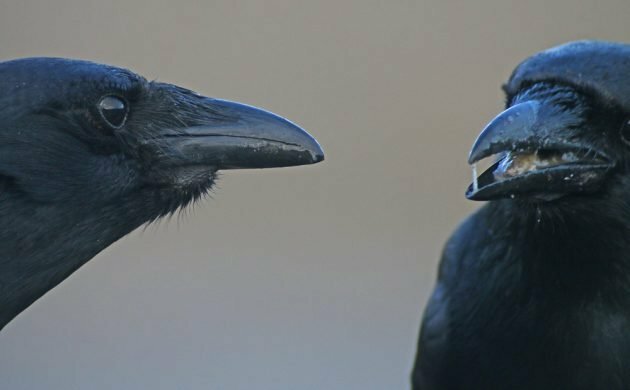 As corvids go they take a back seat to the bigger and smarter ravens, flashier magpies, and better-known jays. 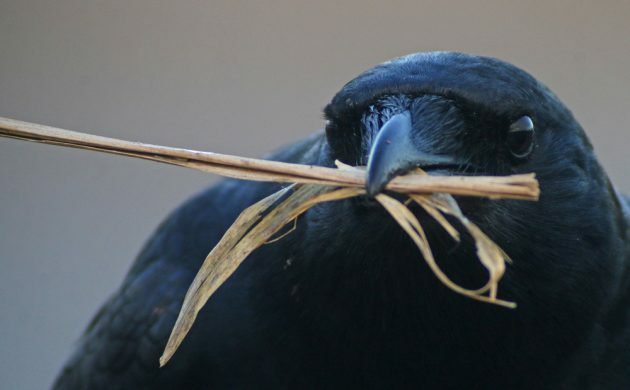 But Fish Crows have a certain something that makes watching them entertaining. They are corvids, of course, which means there is more going on inside that bird brain than most birds have going on. 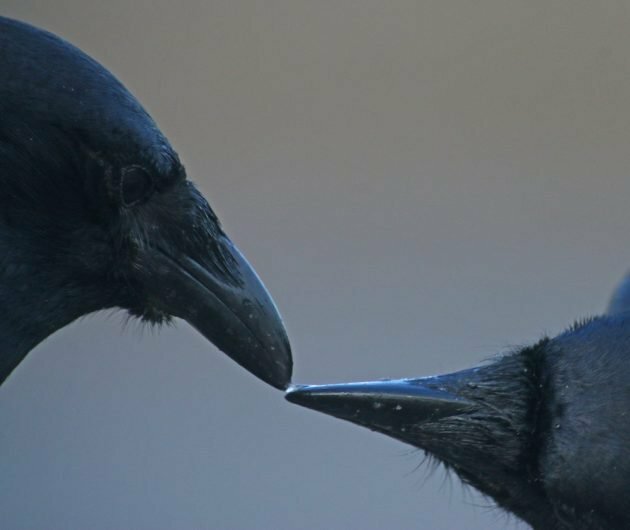 And a bird that thrives best near water – as Fish Crows do – is a bird that is forced to interact with people more than most, meaning that they probably have a pretty good idea when we are paying attention and when we are not. The pair I pulled up next to at Flushing Meadows-Corona Park on Thursday morning certainly knew I was watching them. After all, I was in my car abot ten meters away with a giant spotting scope pointing directly at them. But, busy courting, they seemed not to care. Or, perhaps, they were exhibitionists, prone to extremely public displays of affection? 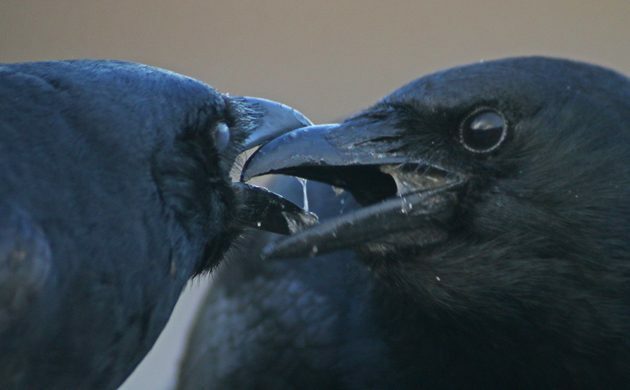 These Fish Crows were clearly strengthening their pair bond. 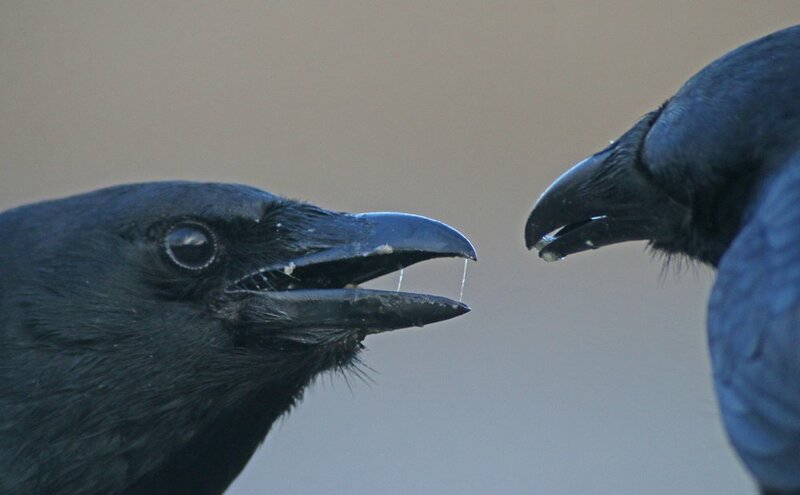 The bird on the right fed the bird on the left repeatedly. Though this is the end of one such food exchange, it sure looks to me like awkward teenage kissing. Well, except for the nictating membrane. 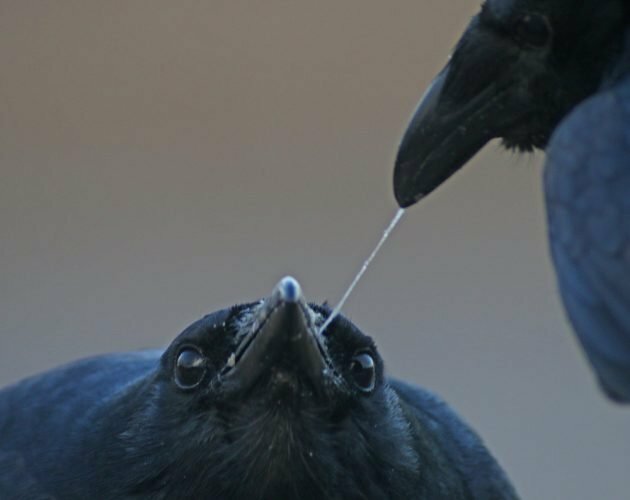 Sure, it looks gross to us, but the bird on the left wanted some of that regurgitated goo. Please, sir, I want some more? 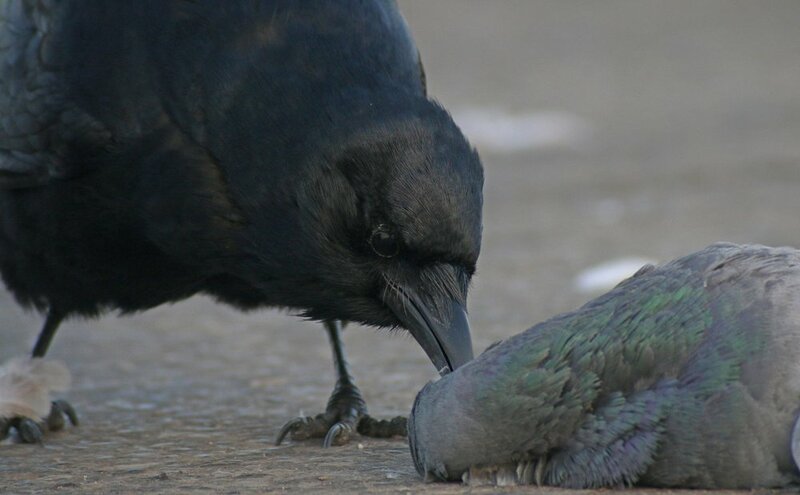 Just one more quick peck. Once the feeding was done the feeder, which I presume to be a male, showed off his nest-material-gathering skills. And then he went to fill his stomach back up. The eyes are the best part! Fish Crows. What’s not to love? 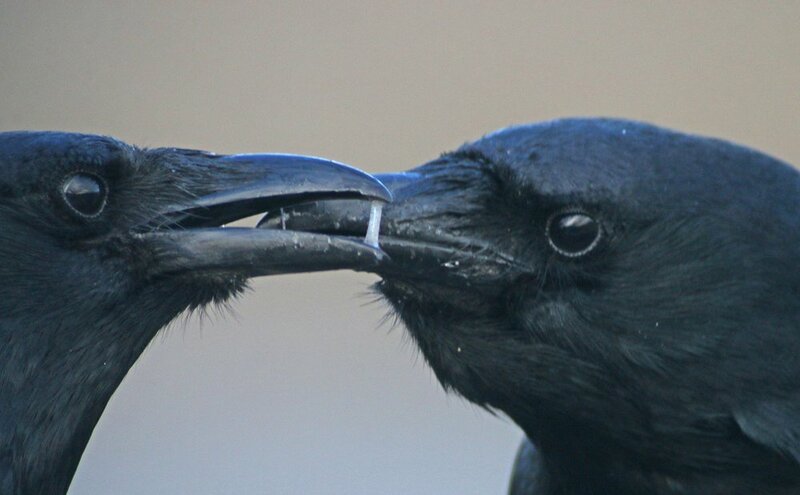 nice set of pics detailing their courtship!